System operates with IFP transmitter module placed in heater. The module sends information on up to 6 modes (comfort, economy, frost protection, off/load-sharing, comfort -1°C, comfort -2°C) to the other heaters via an additional connection wire referred to as a 'pilot wire'. The other heaters receive the information directly via this wire connected to a programmable electronic control unit displaying the current command using a lighted indicator and modify their operation as directed. The module is preconfigured with 7 standard programs to suit almost any lifestyle requirement and programming can also be fully customised. A programming system with central transmitter that fits perfectly into the heater. This system does not require batteries, eliminating risk of power cut or memory loss.Memoprog Radiofrequency is compatible with Calidou, Radiafonte II, Verlys Evolution, Mélodie Evolution, Sensual Evolution, Sensual SAS, Sensual Bains, Athénéa Millenium, Athénéa Plénitude, Dynatherm MA (with use of adaptor kit) and ActiFonte. System operates with one ECP transmitter module and one or more RCF receiver modules. The module sends information on up to 6 modes (comfort, economy, frost protection, off/load-sharing, comfort -1°C, comfort -2°C) directly to the other heaters via the electric wires without any need for additional wiring. 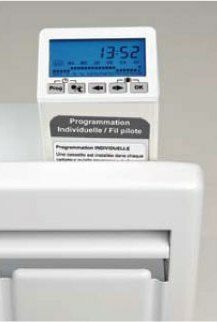 The RCF receiver modules placed in the other heaters receive this information, modify operation of the heaters and display the current command using a lighted indicator. A programming system with central transmitter that fits perfectly into the heater. 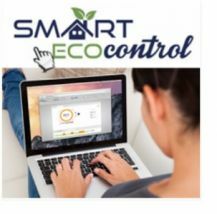 This system does not require batteries, eliminating risk of power cut or memory loss. Memoprog Carrier Current is compatible with Calidou, Radiafonte II, Verlys Evolution, Melodie Evolution, Sensual Evolution, Sensual SAS, Sensual Bains, Athenea Millenium, Athenea Plenitude, Dynatherm MA (with use of adaptor kit) and ActiFonte. Centralised programming via radiofrequency without installation or running wires. The programming unit manages up to three zones and can be mounted on a wall or anywhere else in the home. Memoprog Radiofrequency is compatible with Calidou Plus, Radiafonte II, Verlys Evolution, Mélodie Evolution, Sensual Evolution, Sensual SAS, Sensual Bains, Athénéa Millenium, Athénéa Plйnitude, Dynatherm MA (with use of adaptor kit) and ActiFonte. 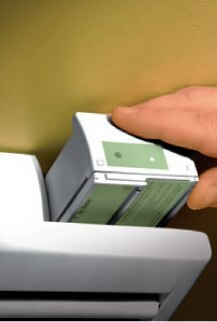 The system operates with a central programming unit and one or more receiver modules placed in the designated heaters. The central ERF unit uses radiofrequency to control up to 4 modes (comfort, economy, frost protection or off) and up to 3 different living zones. The RRF receiver modules receive mode information from the central unit, modify operation of the heaters and display the current command via lighted indicator. Each ERF central unit comes with 3 pre-programmed sequences or programming can be entirely customised.